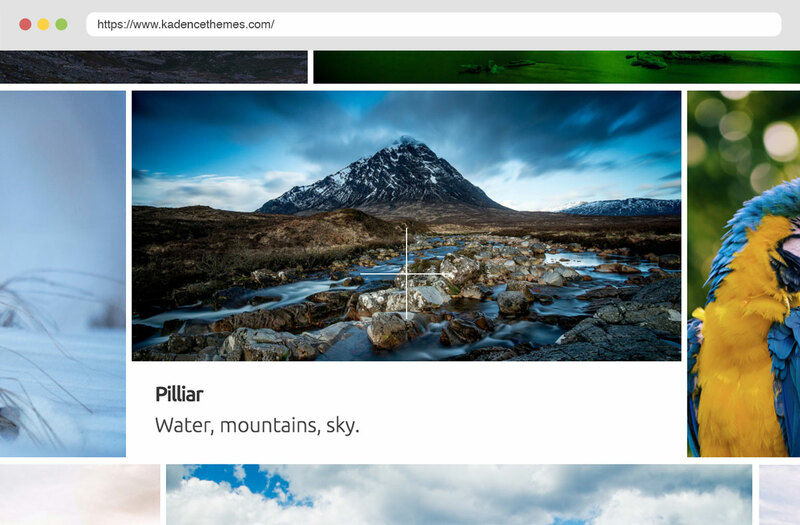 Kadence unique WordPress Galleries plugin, supports photoshelter api. Create standout galleries that are filterable and beautifully responsive. Kadence Galleries is a powerful plugin that allows you to quickly create galleries and albums. You can display captions, titles, and categories with each image. Easily set up a category filter and choose your layout style. 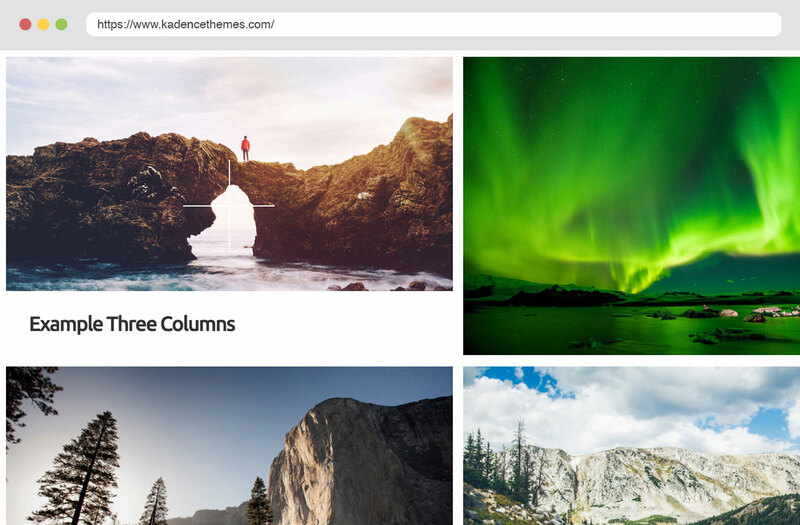 Plus Kadence galleries integrates with Photoshelter so you can pull photoshelter galleries right into your WordPress site without having to re-upload those images to your site. 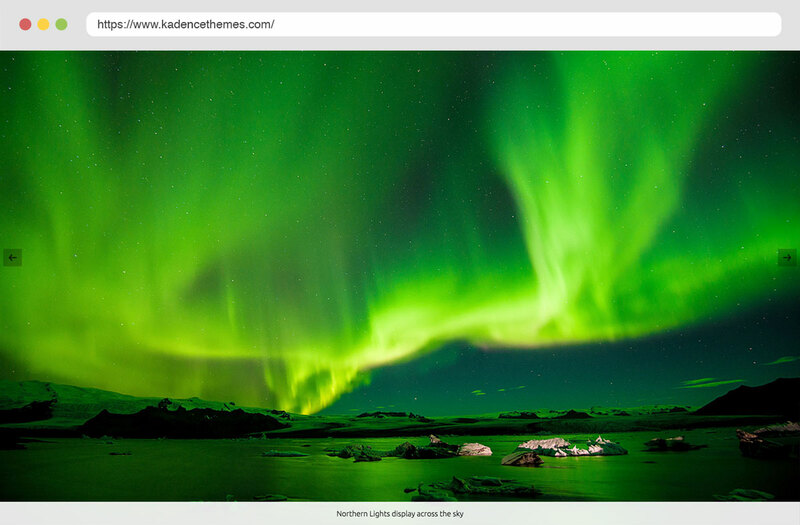 The Kadence Galleries Plugin can output the image categories, title and caption in each caption box. All displayed beautifully in each gallery style. With the Kadence Galleries you can choose between two responsive lightbox engines and two styles to get the best feel for your galleries. With Kadence galleries you can add each gallery to an album and easily have album pages to display your galleries. One of the great layout options for your galleries is tiles. This allows you to display your photos in there original ratio but still in a clean responsive grid. Love these new galleries + photoshelter integration! As a professional photographer I am beyond excited about this new functionality. I no longer need to use 3rd party plugins for dynamic, responsive image galleries that look amazing. 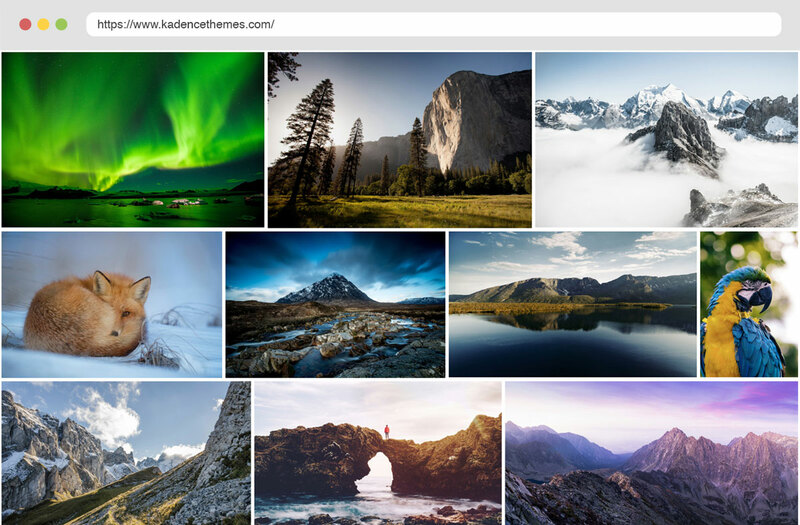 Also, because my entire photographic database is hosted with Photoshelter, integrating those images into my Kadence theme just got way easier. These new features have taken my wordpress site to the next level.